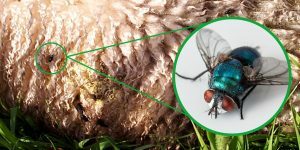 Blowflies are one of the most widespread ectoparasites affecting sheep in the UK, with surveys suggesting 80% of flocks will have one or more cases of blowfly strike every year. It seems that the current weather and climatic conditions are particularly favouring flystrike at the moment with our vets seeing quite a few cases so extra vigilance will be needed. We thought we would take the time to help remind you of the signs of strike and how to prevent this possibly fatal disease. 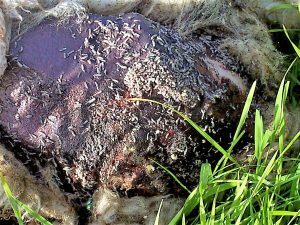 In the UK, blowfly strike is mainly caused by maggots of greenbottle, blackbottles and bluebottle flies, who are attracted to long fleece, wounds, footrot, soiled fleece or dead animals. 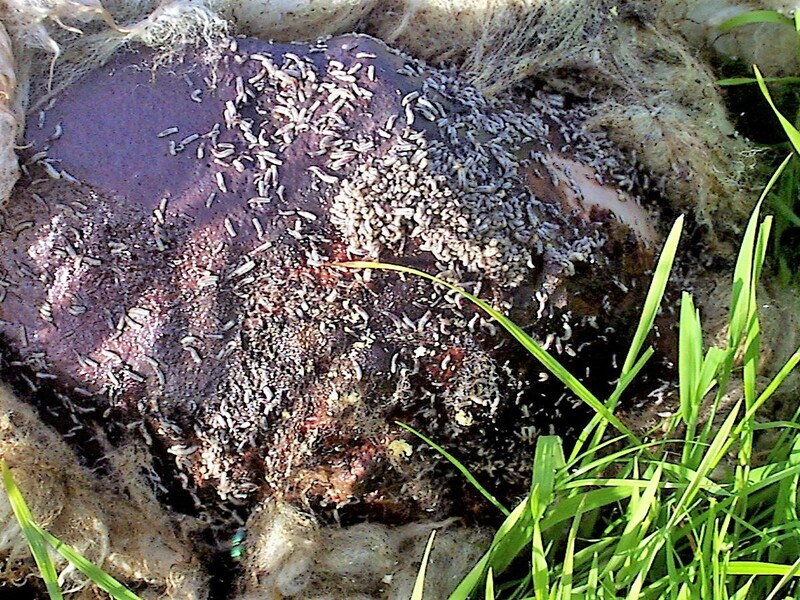 Each female lays up to 250 eggs on the surface of the skin and in the fleece, they hatch after about 12 hours and when large numbers of maggots are present they start attacking the flesh itself. Remove dirty, contaminated fleece as soon as possible around the whole area of the strike – it may be larger than it looked to begin with! Visit the SCOPS and NADIS webites for more information.